This entry was posted in Alumni Channel News on January 1, 2019 by Alumni Channel. This past week we welcomed Los Alamitos School District and their new alumni community for Los Al High School. Los Alamitos High School (also known as Los Al) is a 3000 student public high school, going back to the mid 1920s, located in Los Alamitos, California, and also serving the city of Seal Beach and the community of Rossmoor. Visit Los Al alumni at http://alumni.losal.org. Just today 133 alumni joined their community! This entry was posted in Alumni Channel News on June 2, 2014 by Alumni Channel. 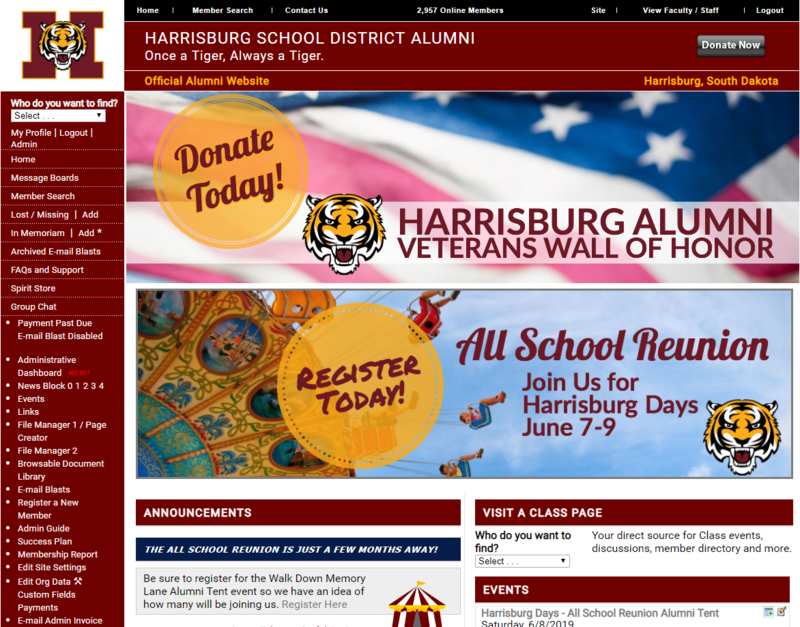 Alumni Channel is happy to announce that we are finishing a basic donation tracking capability. This feature will allow site administrators to input donation records right from an individual member profile. A ‘donation tracking’ link will take admins to a page that provides an input form for new donations, as well as an edit link for existing records. Each donation record has the capability to store “Donation Date”, “Amount”, “Reason” (could be used for campaign name, perhaps), “Acknowledgement Date”, and “Notes”. Future enhancements would include additional reports and query capabilities. The technology is currently in Beta testing (unlike the National Healthcare web site) and will be rolled out to all our communities toward the end of November 2013. This entry was posted in Alumni Channel News, System Updates & Notices on October 30, 2013 by Alumni Channel.